just several centimeters away of you? 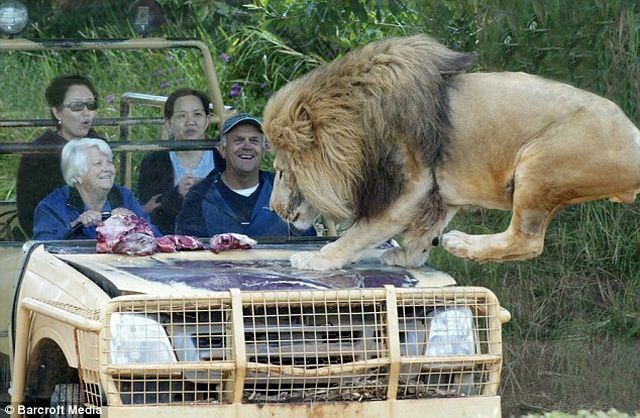 They don’t seem to be scared at all. 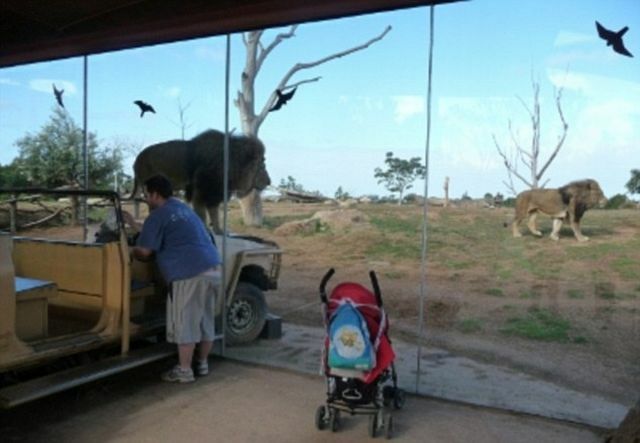 This is the Werribee Open Range Zoo in Victoria, Australia. 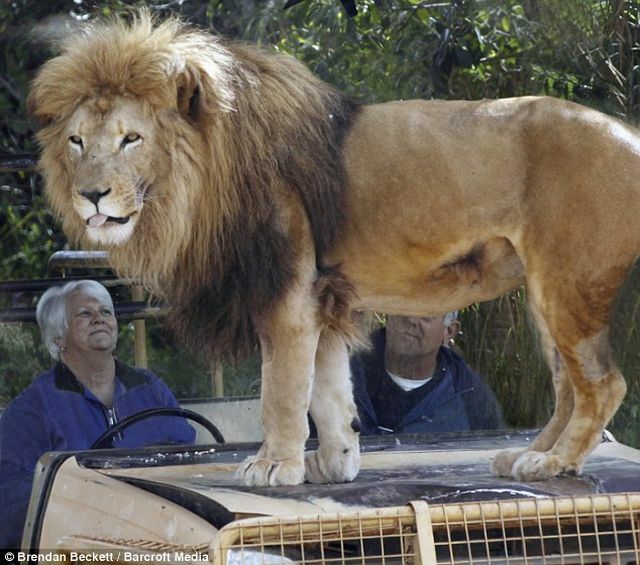 Only the bonnet of the car is in the lion enclosure. 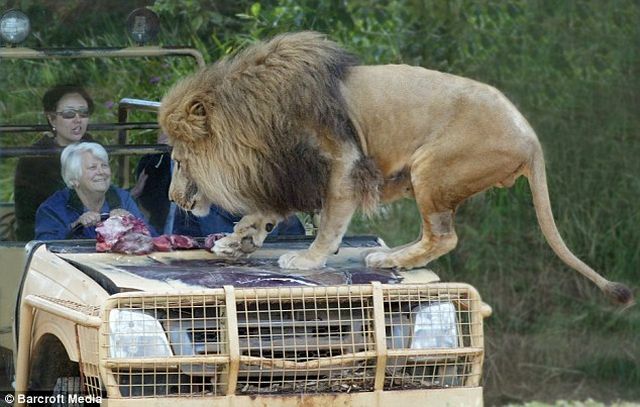 Very interesting way of interacting with the lions. In my opinion, that is quite scary! How come they did not show a little bit of scare?